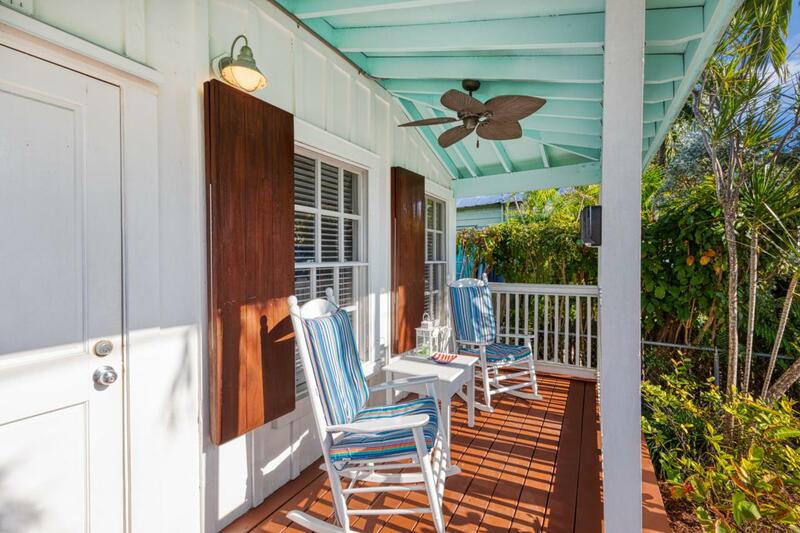 Delightful Old Town cottage awaiting the creation of your fond Key West memories! Behind a white picket fence the picture perfect front porch greets you to this adorable home boasting 2 bedrooms & 2 full ensuite baths for privacy. 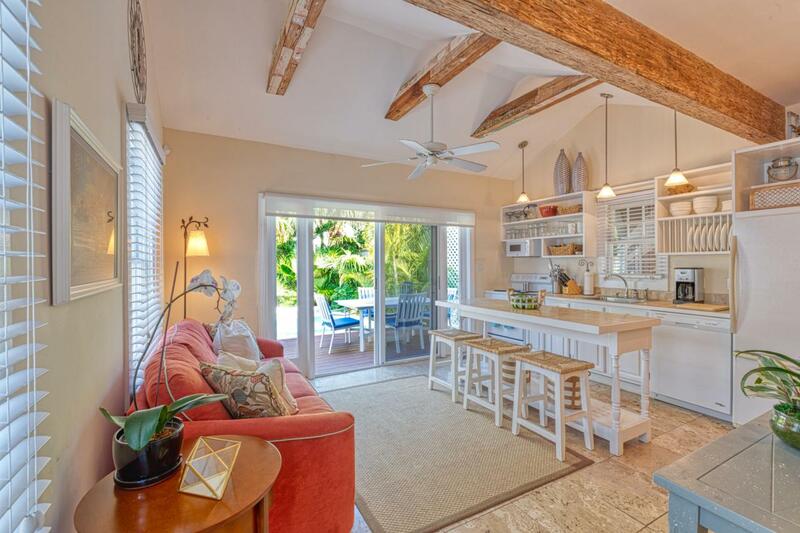 Follow the side hall lined with windows past the bedrooms to an open concept living kitchen combo overlooking the pool wrapped in tropical vegetation & surrounding wood deck. 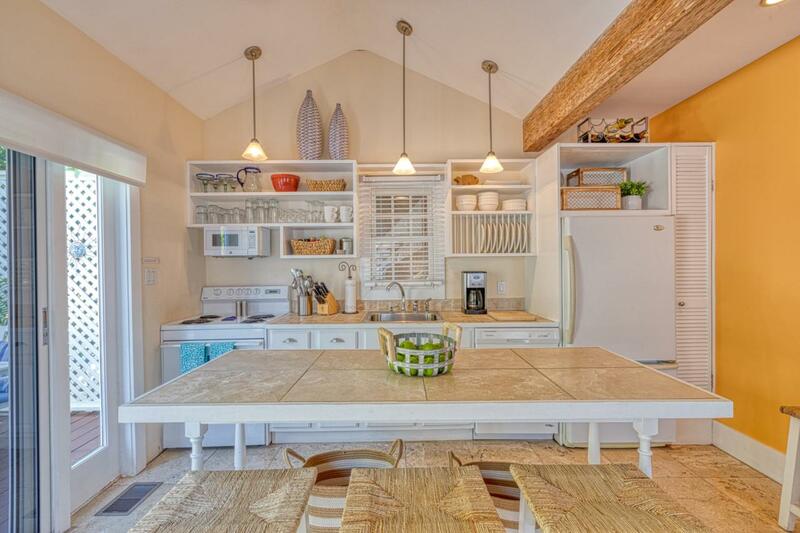 Vaulted ceilings in the great room & 2nd bedroom add a nice open feel with beams wrapped in wood. 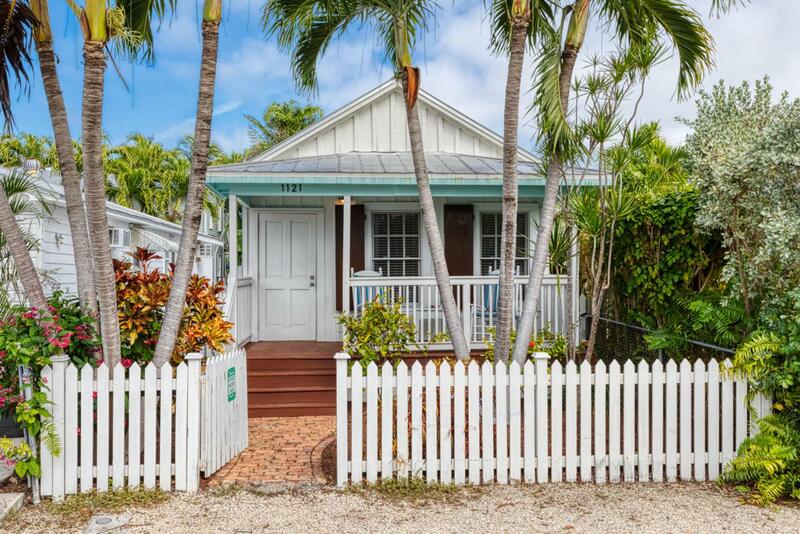 Many historical details add to the character including large moldings, dade county pine ceilings, wood floors throughout, charming wood shutters and board & batten siding. Come take look at this Old Town gem just blocks from all of the action in this peaceful historical neighborhood.